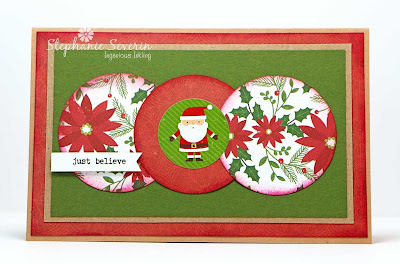 Stephanie says, "I chose papers from the same collection (Echo Park I Love Christmas). 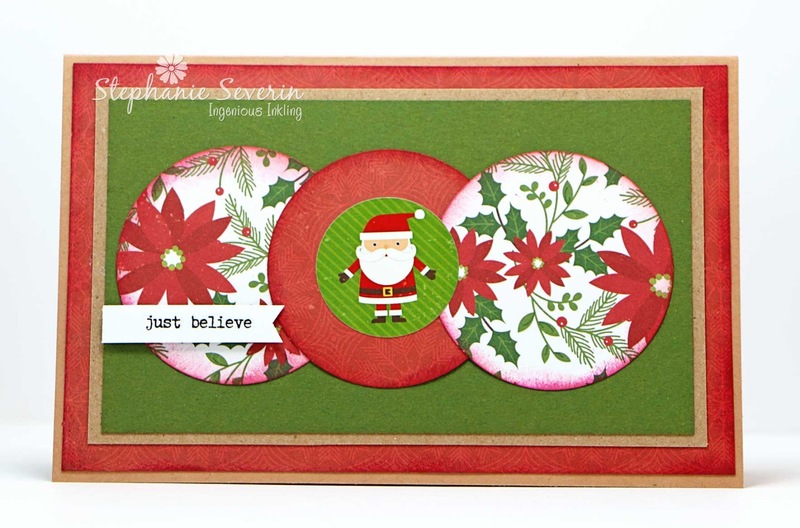 I sponged ink around the three punched 2 1/2" circles to help cover the white edges (on the red) and tie the designs together. 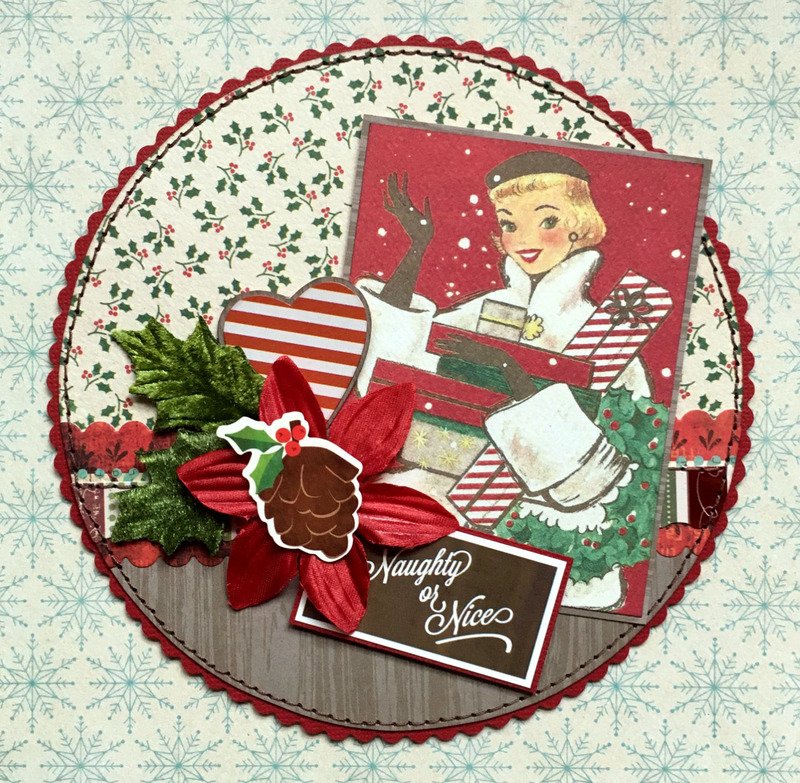 I finished with a Santa sticker from the same collection, a Christmas rub-on sentiment, and lots of layers to frame the design." 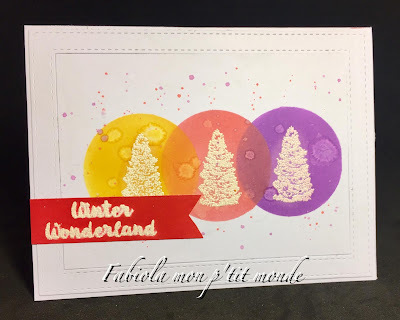 Lauren says, "Amongst the many things I love about this sketch, it's a FAB fab opportunity to use a bunch of smaller stamps or stickers, which I sometimes find challenging. 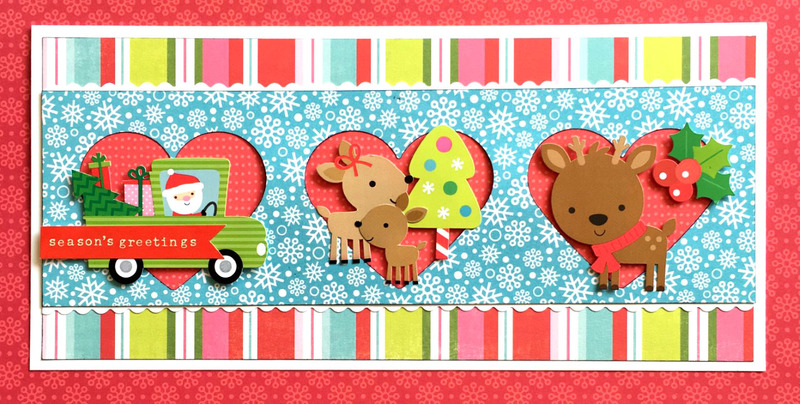 In this case, I've brought out my favorite Doodlebug characters, from their 'Here Comes Santa' line. 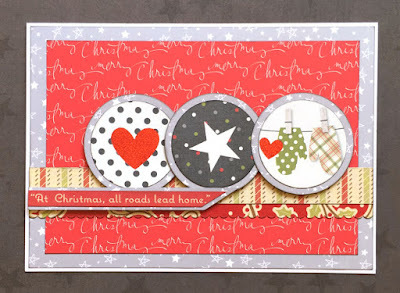 I swapped hearts for the circles, and I've punched them out of my blue snowflake paper, then layered it over some high-contrast red to create little frames. 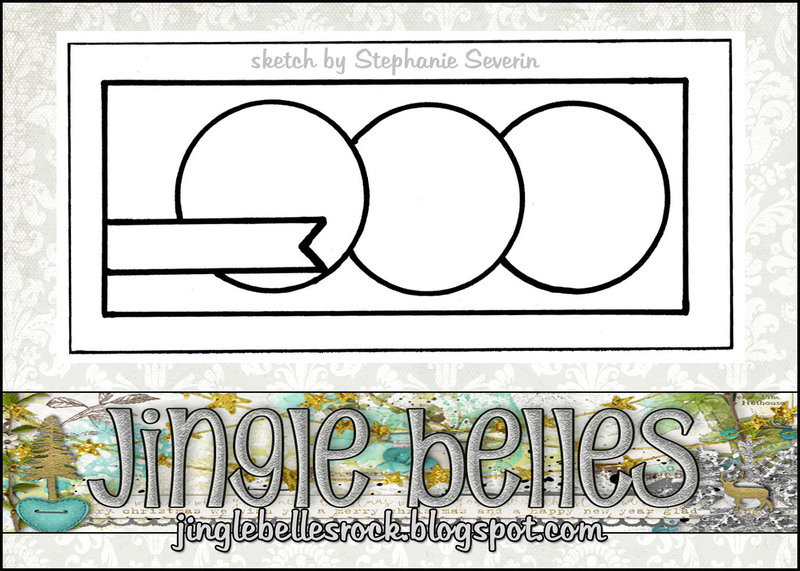 This left me with a rather long rectangle, so I decided on a 'tall card' design." 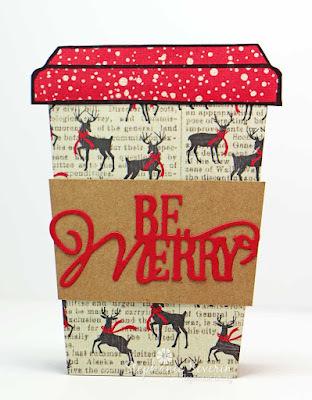 And now it's your turn! Link your sketch cards right here by 6pm (EST) on Wednesday, August 22nd. 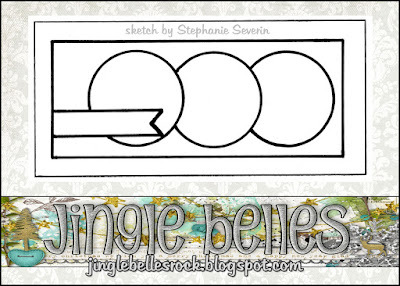 Keyword for galleries or Flickr is JB:18:17. 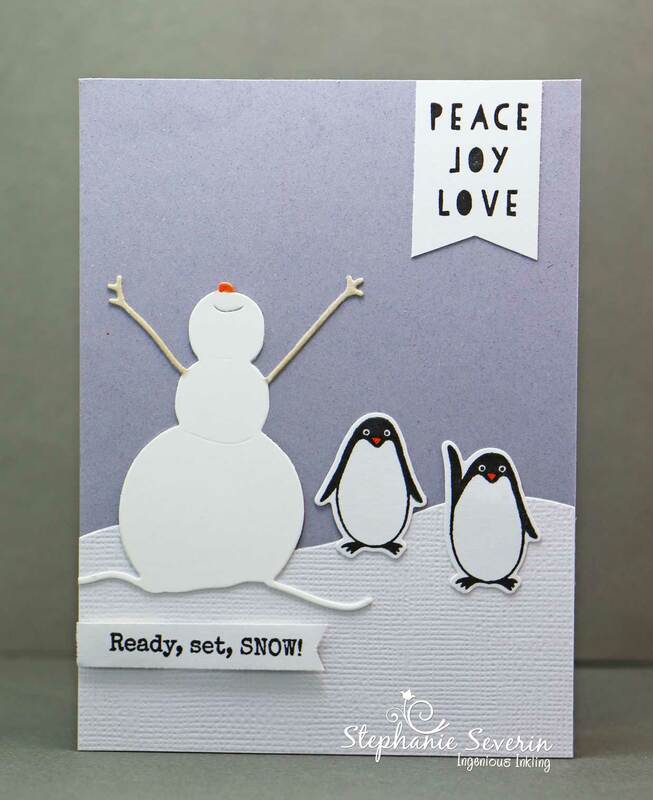 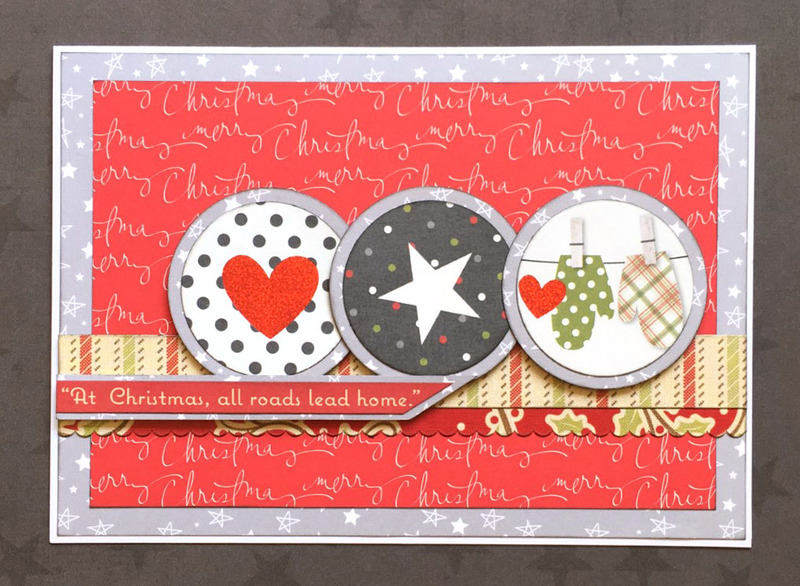 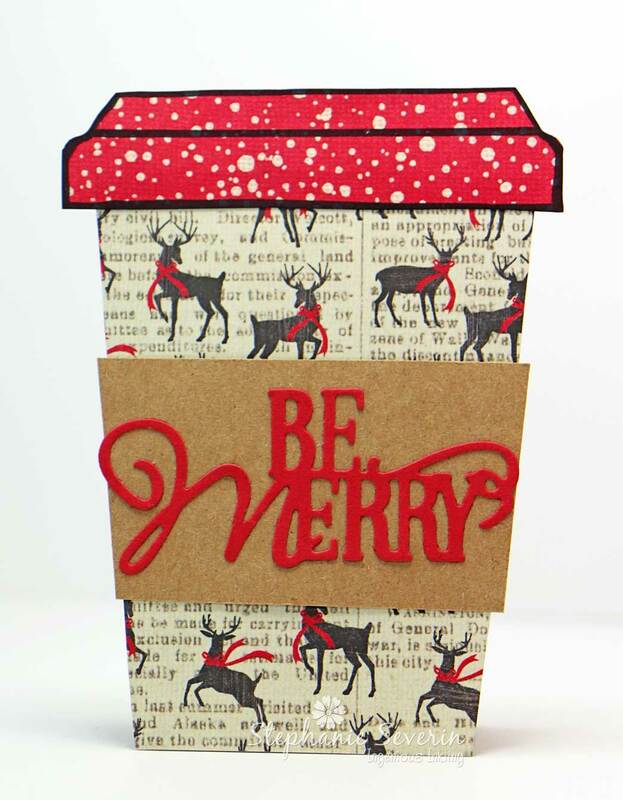 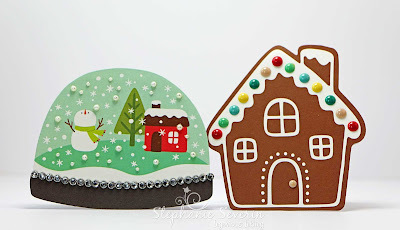 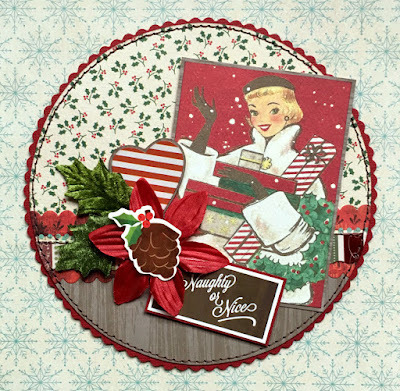 We loved seeing all of the fantastic card designs inspired by our Jingle Belles Blog Banner. for her perfect glittery elements ... love that teal heart. 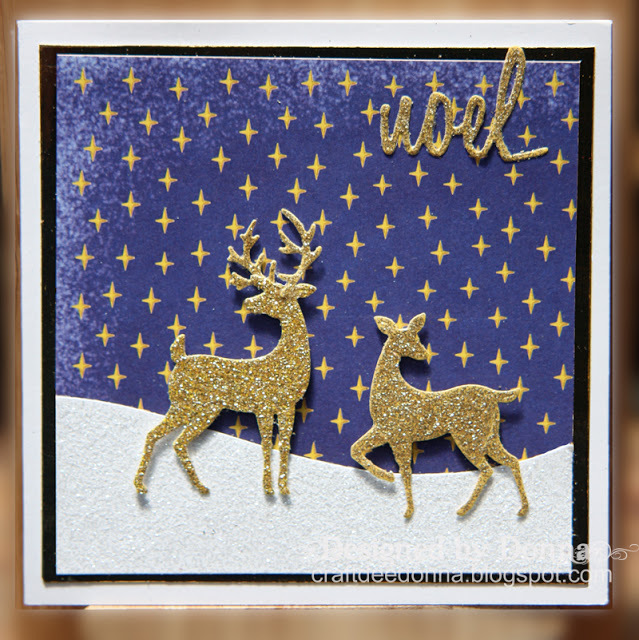 love those reindeer frolicking in the snow. See you at midnight for our next prompt ... it's a sketchy one. 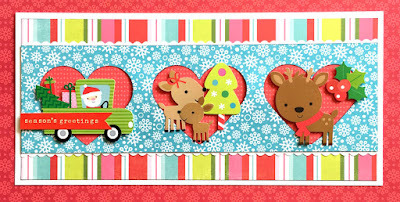 We're still making cards inspired by our lovely Jingle Belles Blog Banner this week. Here is how we were inspired. 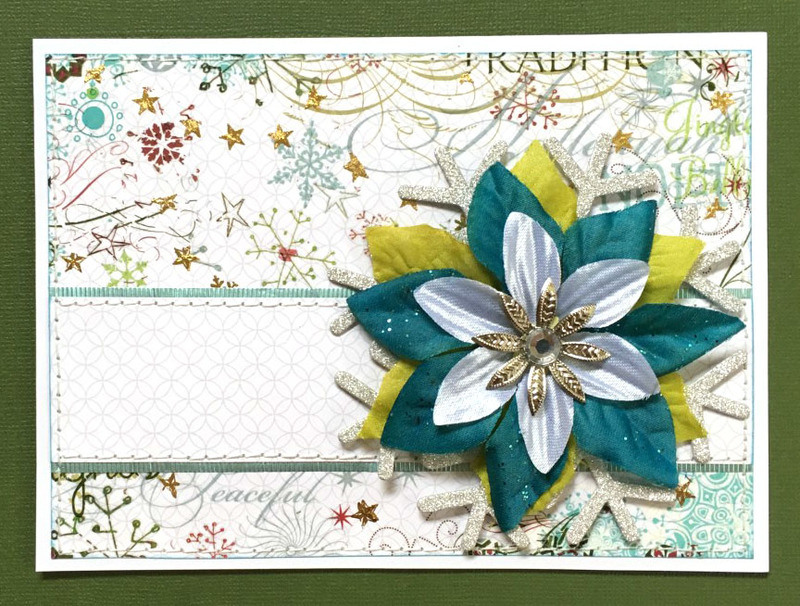 Lauren says, "This week I again chose to use the basic color palette of neutrals with pops of lime, silver glitter and teal. 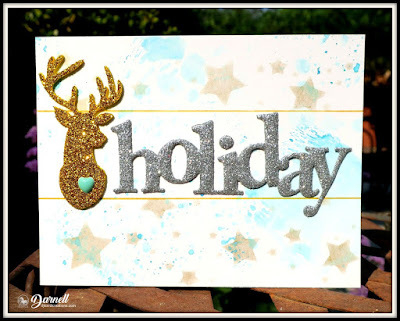 I also tried to do a version of the header's very layered background, though instead of digital elements, I used a variety of rub-on transfers, which kind of unintentionally added to the "distressed" vibe of the collage! 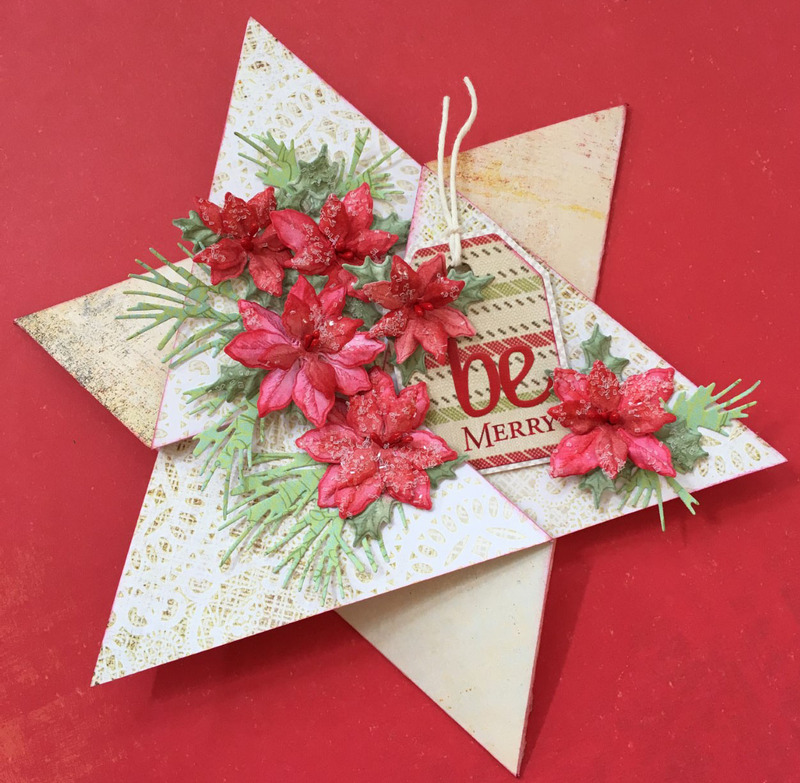 But there are echos of many of the same shapes, including those shiny scattered gold stars, which miiiiiight be my favorite!" 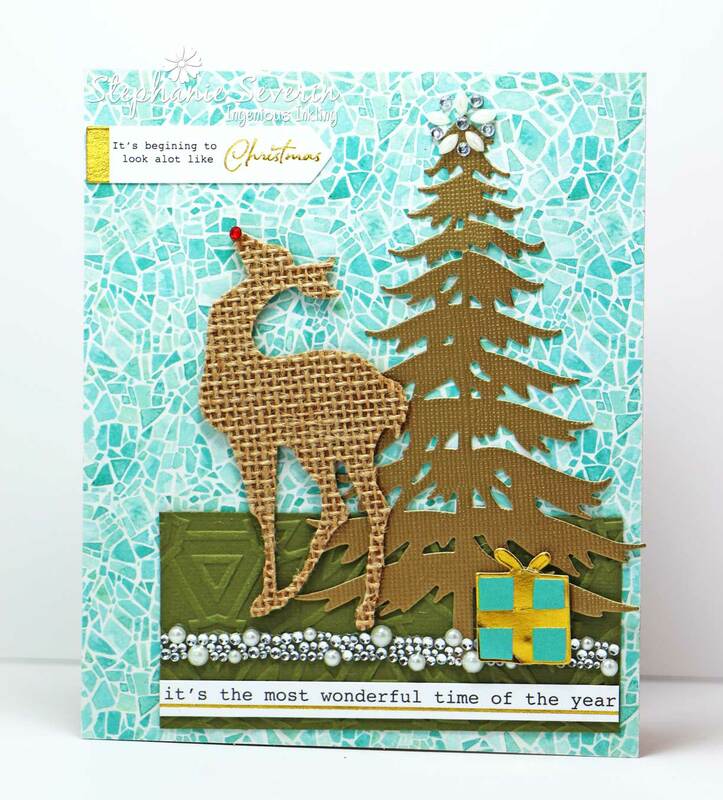 Stephanie says, "This week I used a larger deer and tree as my focal images and added embossed texture, pearls, texty sentiments and some bling at the top of the tree ... as I created, I just kept thinking WWLD (what would Lauren do)." Can't wait to see what you create ... link-up your card at the original post by 6pm EST on Wednesday.